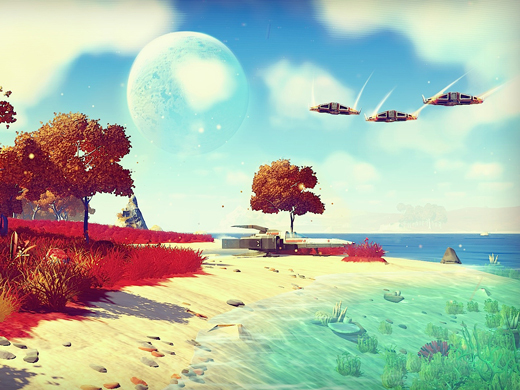 A new computer game, No Man’s Sky, demonstrates a new way to build games filled with diverse flora and fauna. 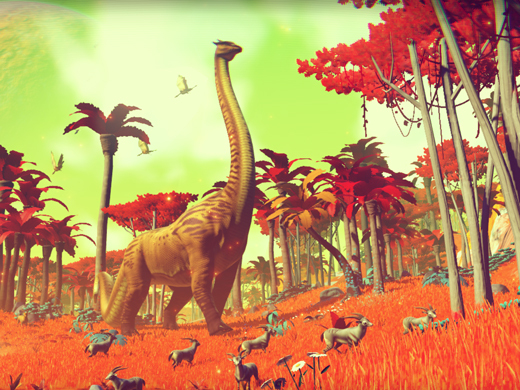 Consumers spent almost $21 billion on computer games in 2013. The quality of the light on any one particular planet will depend on the color of its solar system’s sun. 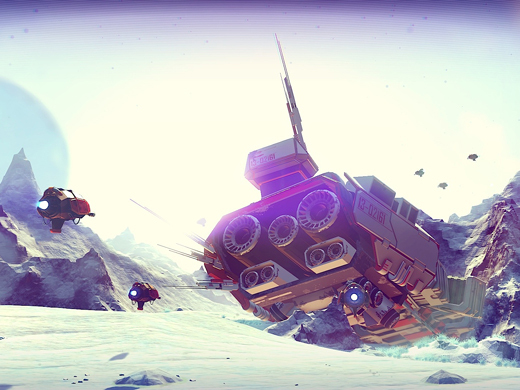 The team at Hello Games drew inspiration from the illustrators of 1970s science fiction, in particular the work of Chris Foss. 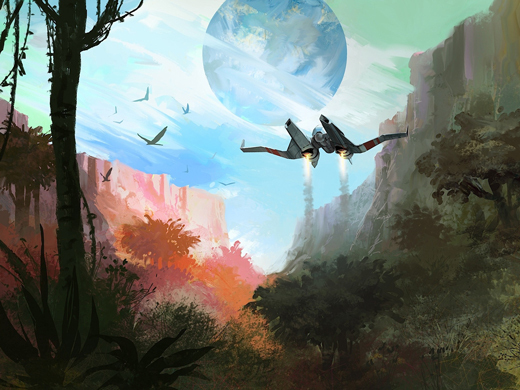 Players will be able to take off from a planet in a spacecraft, fly up toward the sky and, eventually, emerge into space, all in a single uninterrupted flow of action. The world’s procedurally generated creatures follow their own routines, drinking water in the lowlands during the day before retreating to the hills at night. 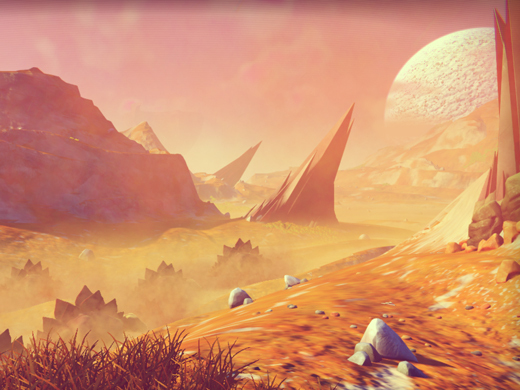 Every player starts the game on an uncharted planet. Information he or she discovers about the planet’s characteristics and life forms can be shared with other players.